We are so confident in our process that we guarantee we can save you money. 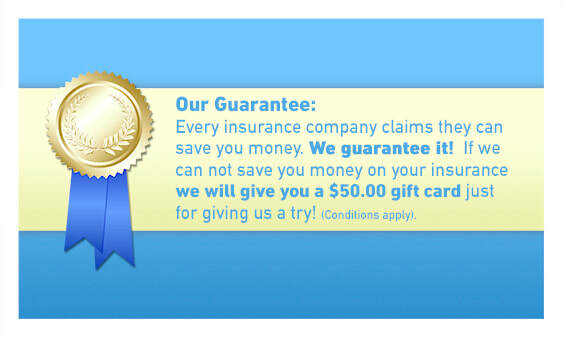 If we can’t save you money we will give you a $50 gift card just for trying us out! Insured must maintain continuous insurance with the same carrier for a 3 year period carrying limits of liability no less than 100/300. Insured must not have any at fault accidents, speeding tickets, or moving violations in the past 3 years. Current declarations pages must be submitted to confirm coverage.